In the section for Members you will find up to date information about deadlines and requirements for various member procedures, news about ticket draws for important matches…. Remember that the information on this page is always up to date, therefore, if you see that there is no information on a particular subject (for example, procedure for tickets for important matches, improvement processes…) means that the Club does not have any more information on the subject. Before ringing or dropping by the OAB, it is worth remembering that you can visit the section of FAQs. If you cannot find the information that you need or you have any other kind of question, you can contact the OAB via the following channels. Option 1: Seient Lliure. An automatic menu that will help you free up your seat, claim it back if it is not sold and consult the state of your seat. You will your member code and PIN. Option 2: Kick off time, TV coverage and info on matches and training sessions for the football, basketball, handball, roller hockey and futsal teams. Option 3: Opening hours for the Ice Rink and the Museum. Match day at Camp Nou at the weekend: From 10.00am until the start of the game. Match day at Camp Nou on Bank Holidays: From 10.00am until the start of the game. The Call Center attends calls in Catalan, Spanish and English. We recommend that you consult the Club’s official website, where you will find before up to date information, before getting in touch with the Call Center. 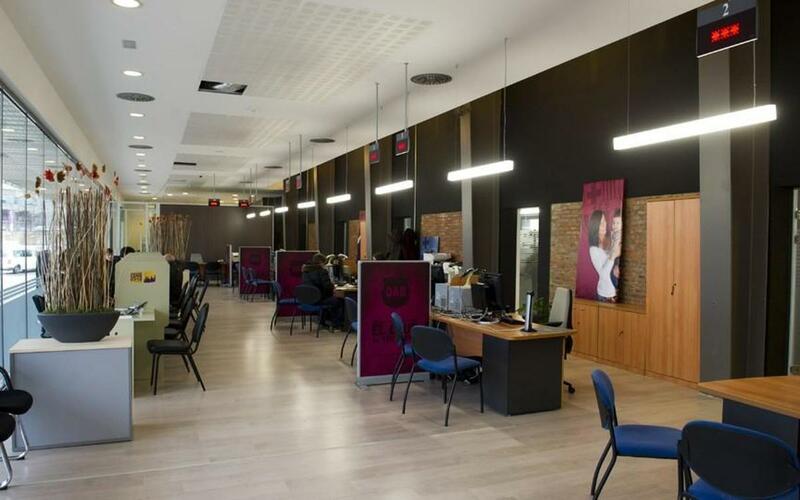 The OAB is situated in the Social Centre, found in the old Palau Blaugrana 2. Access is via gate 14 or via Travessera de les Corts. We recommend that you consult the section of the Club website corresponding to members and season-ticket holders where you will find the requirements, necessary documentation and official forms for each of the processes. Request for sporting material, players’ autographs etc…: Owing the large quantity of requests of this nature, we regret to announce that they cannot be carried out. Comments on matches, players etc…. : Owing to the large amount of e-mails coming in, the Club cannot respond to each message personally although we do welcome your opinions. The Club provides the following forums for Barça fans. Community http://fans.fcbarcelona.com where fans can vote for the player of the week, send in photos and access exclusive content. Photo requests with the team: Only for members oab@fcbarcelona.cat indicating your member number and personal details. Information for members and information for the general public. We remind you that the Club only responds to e-mails in the Club’s official languages (Catalan, Spanish and English). In order to deal correctly with your request or query, we ask you to be as specific as possible regarding the subject of your e-mail and that you indicate to us your member ID, name and surname and a detailed description of your request or query. For more details about additional information to request changes in postal address, telephone number, e-mail address, bank details and PIN reminders, please consult the following sections to find more information. Our intention is to respond to your requests in less than 36 hours. Nevertheless, in certain moments (for example at the time of finals) due to the large number of requests, it is not possible for us to process requests in this timeframe. We ask in these times not to resend your e-mail as this will only serve to further slow down our system. For requests to change processes, the OAB will always send an e-mail to confirm that the process has been carried out. If an e-mail is not received, we advise you to get in contact with the OAB.